Trump Calls For A Senate Vote With Multiple Bills In Play : Shots - Health News President Trump is pushing the Senate to repeal and replace Obamacare this week. But with multiple bills in play, it's far from clear what the Senate would vote on. Here's a recap of the options. The Senate is expected to vote Tuesday on whether to advance health care legislation to the Senate floor. That would open up debate on an Obamacare repeal and/or replacement plan. The importance of the vote was highlighted by Sen. John McCain's decision to return to Washington to take part. He announced last week that he had been diagnosed with brain cancer. At a White House event Monday, President Trump highlighted what he called the "failures" of the Affordable Care Act, also known as Obamacare, and called on senators to pass a bill that both repeals and replaces the ACA. Last week, Trump urged an approach that would repeal the law over two years, giving lawmakers more time to craft new health care legislation. Several days later at a lunch with lawmakers, he advocated repeal and replace. But it's still not clear what the Senate will be voting on. There are multiple bills in play. The Senate hopes it can muster the 51 votes needed to pass a bill, but some Republicans are wavering, both in the center and on the right. NPR's health and politics teams have been doing our best to shed some light on what's a very confusing situation, even by health policy standards. There are at least four bills that could advance to the Senate floor. Here's our summary, with a chart comparing House and Senate bills to the Affordable Care Act, and links to stories that dive into the implications of the legislation. We worked with NPR member station reporters and editors to create an interactive Q&A on how key elements of the bills would affect people in different states. What if the Senate parliamentarian says "nope"? Another potential wrinkle came up late Friday. Julie Rovner with Kaiser Health News reports that the Senate rule-keeper has advised that some key parts of some of the bills could need 60 votes to proceed. They include defunding Planned Parenthood and incentives to have people keep health insurance. Getting 60 votes would require Democratic support, which they won't get. And if Obamacare remains the law of the land? For now, the Affordable Care Act is still the law, and insurers are trying to plan for next year. That's proving to be difficult and might drive up costs for consumers. 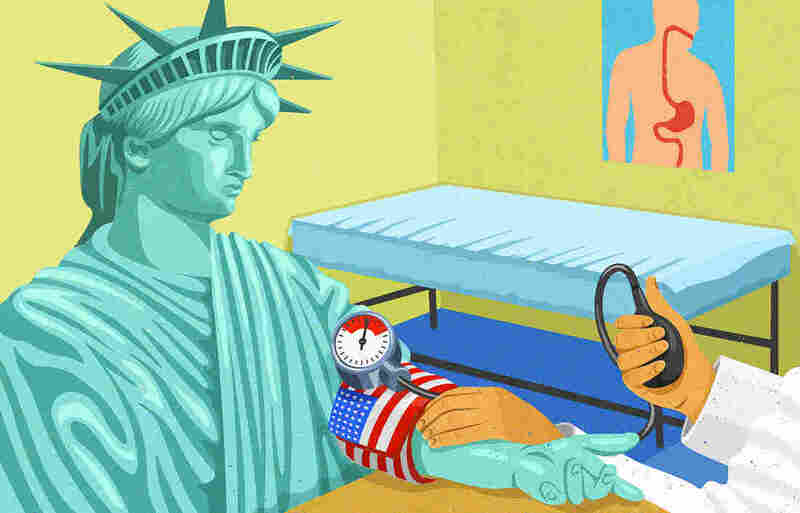 Congressional action could have an enormous impact on people's health insurance. But the U.S. Department of Health and Human Services has some wide berth in interpreting the law and could make a lot of changes without congressional action. Here are some key actions and regulations that could affect the exchanges and Medicaid (and more).